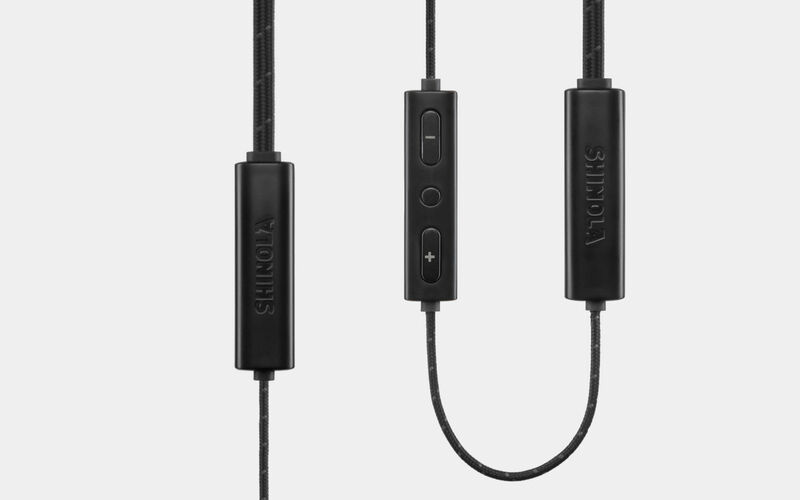 In a world where it seems like wireless headphones are a dime a dozen, we are happy to have such products as the Shinola Bluetooth In-Ear Monitors. With features that far exceed most other brands, it’s easy to see why these are quickly gaining momentum with music lovers everywhere. The details about this set of headphones will truly make a believer out of you. We start with a housing that is made of stainless steel, which is precision machined and covered with a PVD coating along with a Beryllium Dynamic Driver transducer. Quality like this means the headphones will stand up to the various wear and tear they will go through on a daily basis, all with an astounding amount of luxurious comfort. You have plenty of control over your device as well, with an inline mic and a multi-function volume button. Output sound pressure weighs in at 104 dB with less than 1% of harmonic distortion. That means they are as luxurious in sound quality as they are in comfort. Bluetooth 4.2 with AAC offers twelve continuous hours of playback for music, podcasts or whatever you need to listen to. When you’re not using your headphones you can store them in the branded travel case, made of fabric, that comes with them. When it’s time to pull them out again, you’ll have your choice of memory foam and ear tips made of silicone at your disposal.